In this episode, Daniel Lizalde discusses the importance of getting out of our own way and pushing ourselves out of our comfort zone. 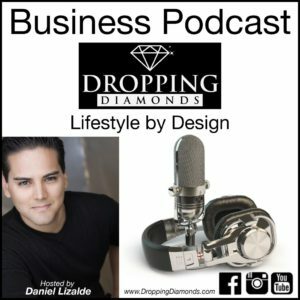 Listen to the Diamonds Lizalde Drops as he tell personal stories about how he has recently pushed himself out of his own way and how this is benefiting his business and personal growth. Enjoy Familia!